The MRP Bartlett looks to fill a niche group of riders who are looking to get the most from their long travel All-Mountain or Enduro bikes. 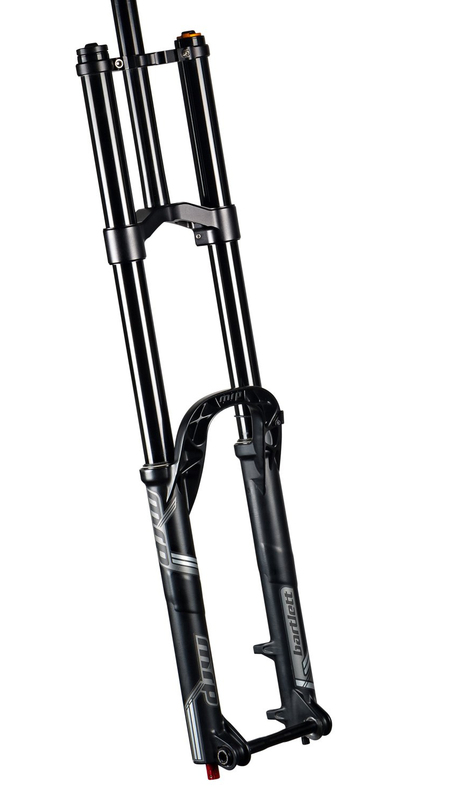 The Bartlett is the first dual crown fork aimed at this segment of riders. 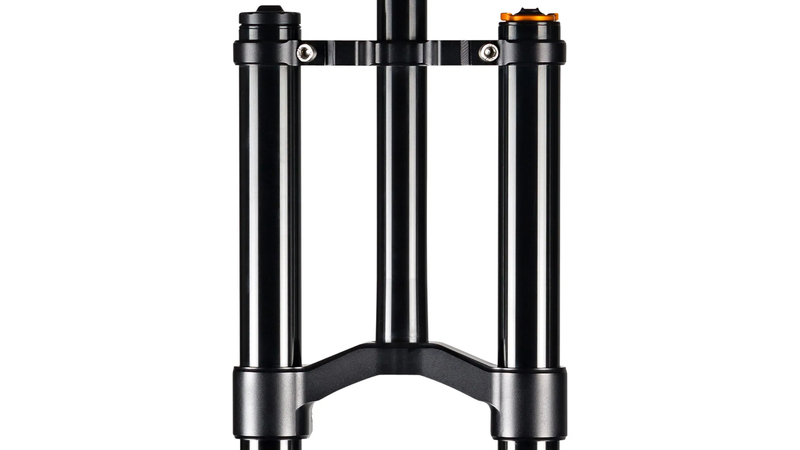 The dual crown design provides riders with big travel while being able to keep the axle to crown length low so you don’t feel like you’re riding a raked out chopper. Another advantage to the dual crown design is the stiffness and control you will gain. The Bartlett will take your Enduro bike to a whole new level. When it comes to features, the Bartlett borrows from its single crown cousin, the Ribbon. It features the highly adjustable FullFill air spring, PSST pressure relief valves, a low pressure IFP damper and the unique reverse Outcast arch that helps to keep mud compaction to a minimum, and MRP’s acclaimed Ramp Control technology. With these features the Bartlett just may be the perfect fork for the new breed of long travel bikes that bridge the gap between all-mountain and downhill. Dual crown design for added stiffness and stability. Outcast arch reduces mud compaction. PSST pressure relief valve removes excess air from the lowers. 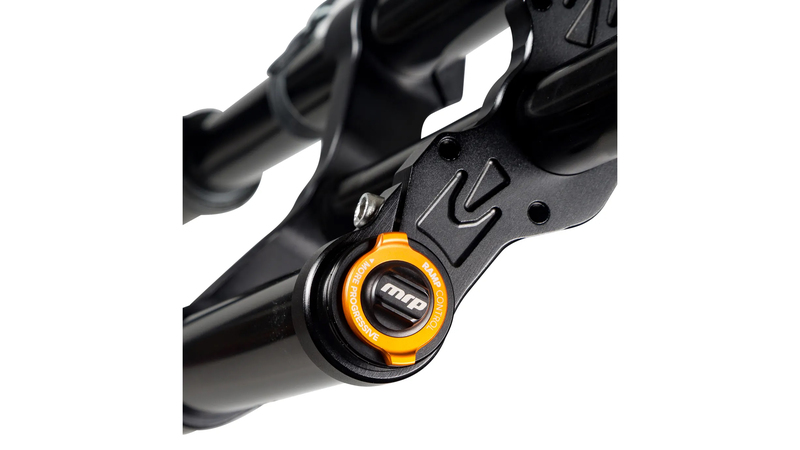 Low pressure IFP damper keeps action smooth and controlled. FullFill airspring it highly tuneable. 190mm of travel smooths out trail chatter and soaks up the larger hits.